Vedolizumab (Entyvio; Takeda), an integrin receptor antagonist, was found to be superior to adalimumab (Humira; AbbVie), a tumor necrosis factor-alpha (TNFα) antagonist, in achieving clinical remission in patients with moderately to severely active ulcerative colitis (UC), according to results from a phase 3b head-to-head trial. The sBLA is supported by data from the UNIFI global clinical development program. 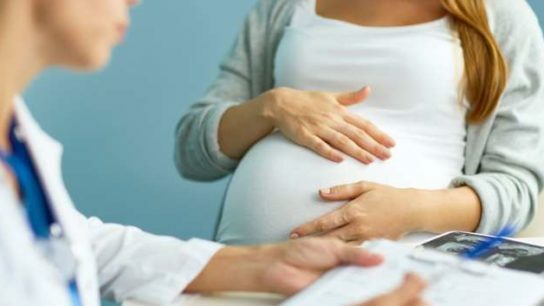 Using a validated claims-based algorithm, study authors identified pregnancies among women 15-54 years of age from the US Sentinel System between January 1 2004 and September 30 2015. Study authors at the American College of Gastroenterology (ACG) Scientific Meeting 2018 presented late-breaking data from the induction phase of the Phase 3 UNIFI study. The study included 384 adult patients with moderately to severely active UC who had an inadequate response with, loss of response to, or intolerance to corticosteroids, immunomodulators, or tumor necrosis factor-alpha (TNFα)-antagonist therapy prior to being enrolled. The expanded FDA approval was based on results from two 8-week placebo-controlled induction trials and a 52-week maintenance study. The GIDAC recommendations are provided to the FDA but they are not binding. The FDA has set a target PDUFA action date of June 2018.